Black Hair Dye There are 12 products. 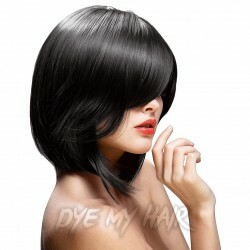 Get a cool new look with the La Riche Directions Semi-Permanent Hair Dye in Ebony Black! Looking for a more natural tone to complete your look? If so, then it's time you tried out the Splat Long Lasting Semi-Permanent Hair Dye Kit in Jet Black! For your latest hair colour adventure, why not indulge in a deep and dark colour of Crazy Color Semi-Permanent Hair Dye in Natural Black! Looking to stand out from the crowd? 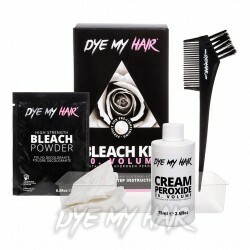 Then why not try out the Manic Panic High Voltage Classic Cream Formula Colour Hair Dye in Raven! 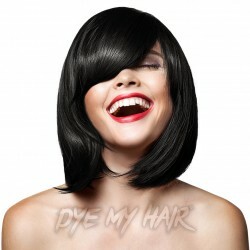 Dye My Hair doesn't just have you back, we've also got your black - hair dye! 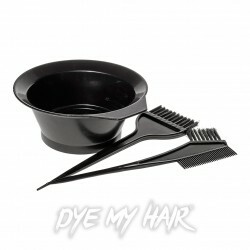 Check out the Crazy Color Semi-Permanent Hair Dye 4 Pack in Black! Embrace the dark side with this deep and mysterious shade of Stargazer Semi-Permanent Hair Dye in Pitch Black! Let out your inner darkness!